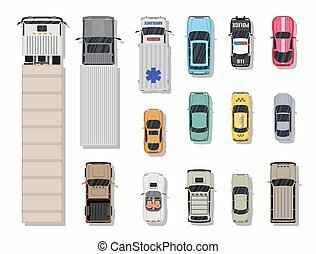 Big set of cars. collection vehicle. sedan, hatchback, roadster, suv. the image of toy machines. isolated objects on a white background. vector illustration. flat style. Big Set Of Cars. Collection Vehicle. 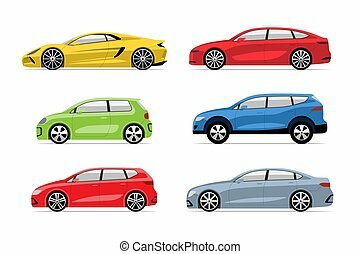 Sedan, Hatchback, Roadster, Suv. The Image Of Toy Machines. 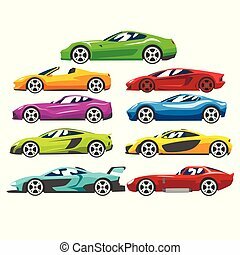 Collection of sports racing cars, colorful supercar, side view vector Illustration isolated on a white background. 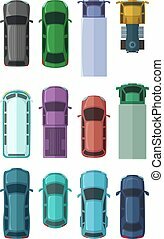 Collection of premium black executive cars, business luxury vehicles with blue flasher siren, side view vector Illustration isolated on a white background. 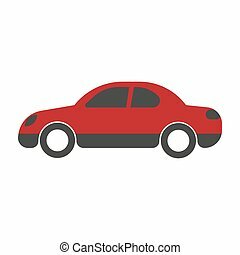 Red passenger car sedan close-up flat art design on white background. 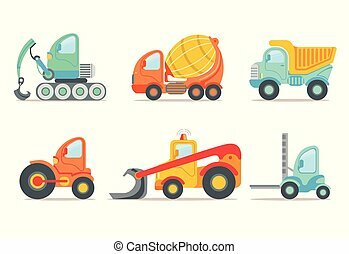 Vector illustration of transport in cartoon style web banner. Drawn realistic pattern for infographics, websites and mobile app. 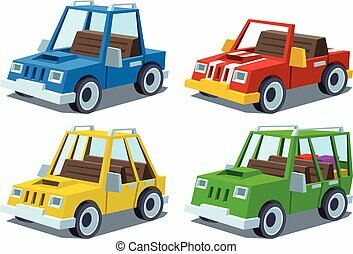 Set of colorful construction and cargo vehicles. Concrete mixing truck, large dumper, excavator, road working car, tractor and small forklift. Flat vector illustration isolated on white background. 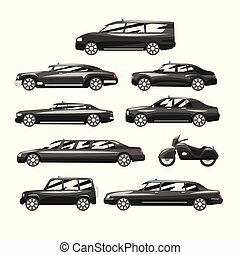 Collection of different types of vehicles. 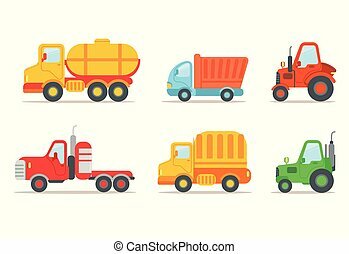 Semi trailer, tractors, lorry, truck with tank. Transport or car theme. Heavy machinery. 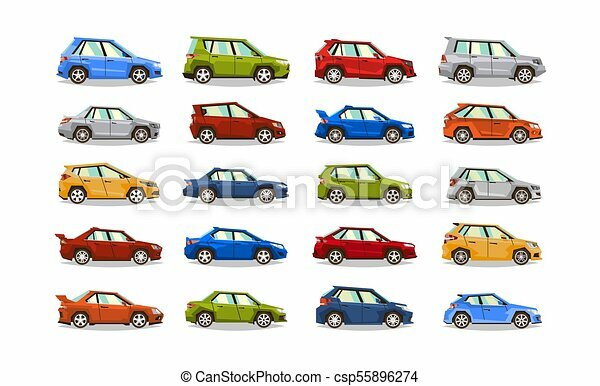 Colorful vector icons in flat style isolated on white background. 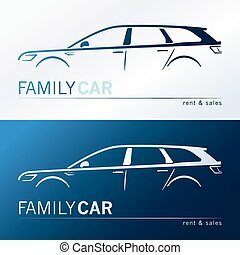 Vector illustration of a minivan, family car. Original design.